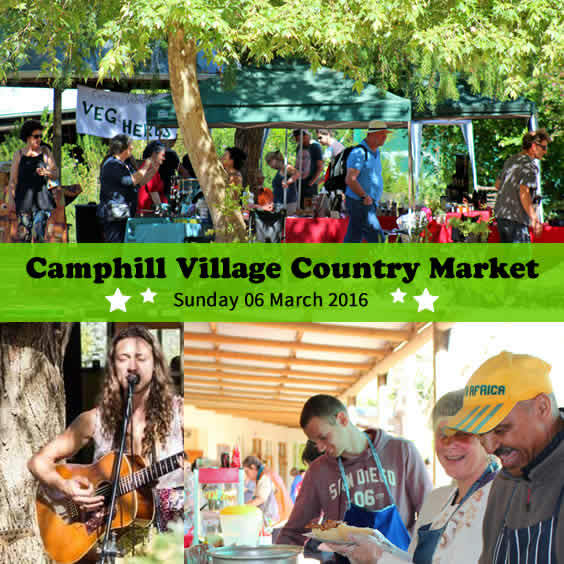 Camphill Market is the place to be on Sunday the 6th of March. Bring your family and come enjoy the day at the West Coast's favourite country market, where you get your must-have Camphill goodies, products and produce. From our amazing selection of grass fed yogurt, milk and dairy products, to our outstanding preservative-free breads, fresh herbs and our hand-made natural cosmetic products, there is just so much to tempt you. Enjoy our live music, family entertainment, tractor tours, a variety of great stalls, safe parking and playground, not to mention our ever popular coffee shop and Sunday lunch menu. Returning by popular demand, this month’s live band will be Jean Ras and Tamara Mihal playing an eclectic mix of Country, Folk and Blues. 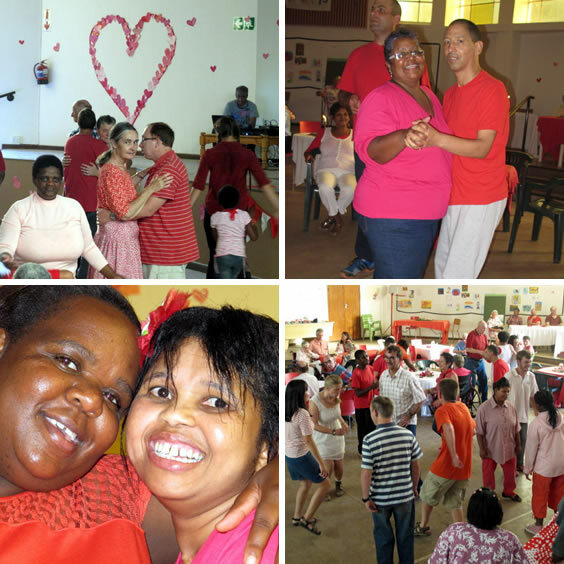 We will also be having a Biodanza demonstration at around 10:00am. Mirror, mirror on the wall, who is the cutest couple of them all? 5 pm: Everybody is waiting full of expectation in front of the Community Centre to get the party started. But as soon as the doors were opened, all the people trooped into the hall. - Love is in the air, everywhere you look around. Look here, look there, hearts everywhere - According to the dress code red, white and pink, it seemed to be like a wide ocean of colourful flowers that moved in the wind to the rhythm of the music after a few seconds. Hearts on the walls, red strings tensioned from the one to the other side of the hall, red tablecloth decorated with lovely flowers, candles and everybody is listening to the romantic music. After a few minutes the people found themselves on the dance floor, both old or young. No excuse was accepted! Everybody was involved. Hand in hand, arm in arm or wheel in wheel, we partied to the most famous love songs of the last 20 years. After an hour the feet started to hurt and everybody was excited to receive a giant piece of delicious spinach pie with corn, tomatoes and salad. The smile became even bigger, when the giant boxes of vanilla and chocolate ice cream and red Jelly finally arrived. After recovering the people started to paint the dance floor red again until the final end. Thank you all very much for that lovely party! Also to Lee and her friends who kindly donated all the food for that amazing evening. We hope you enjoyed it. 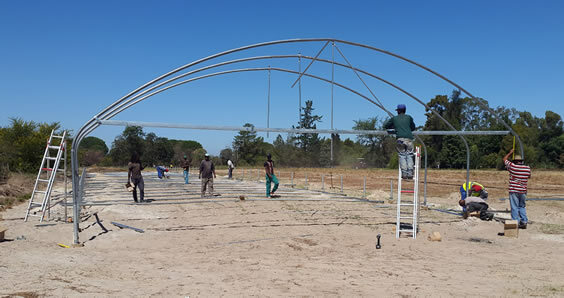 Further to our piloting the growing of cucumbers and tomatoes in our old greenhouse, we have now been donated two new tunnels, to enable us to expand our vegetable production, and help us minimise water wastage in the growing process. 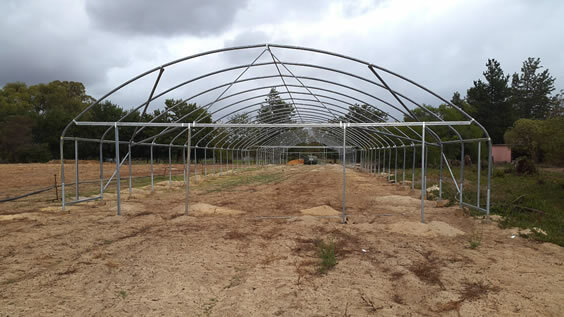 This will give us the opportunity to offer contract growing of organic vegetables, grow more vegetables for our own consumption and for our existing customers. 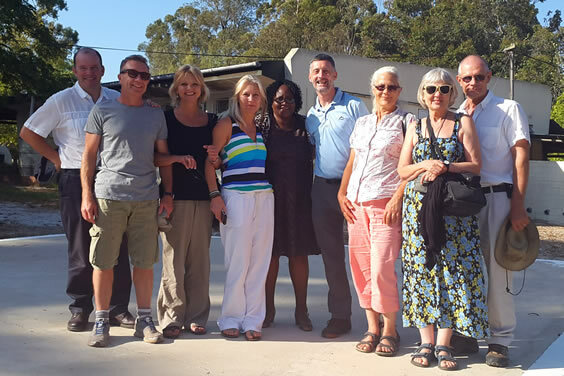 The donation is from two private donors in Switzerland, through Rays of Hope, who are assisting us in developing into a centre of excellence. Many thanks go out to them for their generous support. 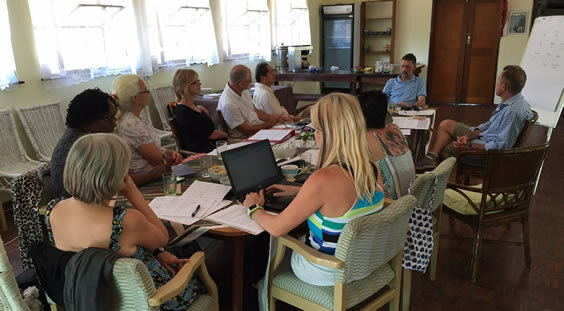 We hosted the regional meeting of Camphill Africa, last week, which was a great opportunity to connect with our sister organisations, share ideas and discuss regional matters of the broader Camphill Movement. Camphill has extended our range of delicious dried herbs and spices so you can enjoy more of the Camphill goodness with your family every day. Seasoning Salt - a magical blend of herbs and spices to flavour your favourite dish or to sprinkle at the table. It contains natural sea salt; lemon thyme; rosemary and pepper. 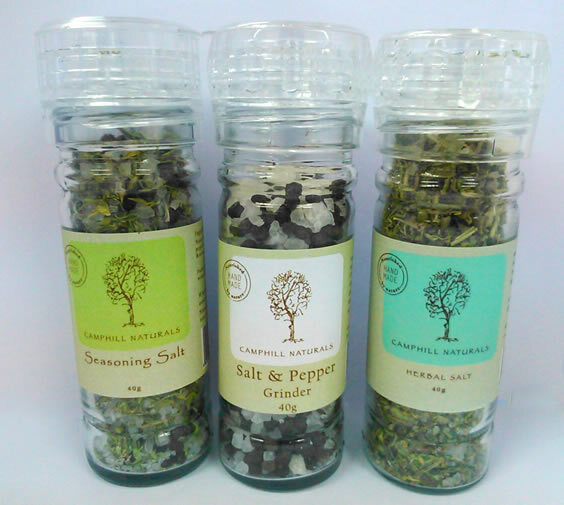 Natural Sea Salt and Pepper in a grinder - to give you the right combination of salt and pepper in one. Remember we also have our existing Herb Salt packed full of vitamins and minerals that serves as a tantalizing blend and adds wonderful flavours to every meal. It contains: natural sea salt; oregano; thyme; nettle/celery/spinach; basil and rosemary. Camphill herbs are grown without treatment from herbicides, pesticides or fungicides, they contain significant quantities of iron, calcium, magnesium, vitamins: A,B-6,C, trace amounts of vitamin E, K and other helpful minerals. 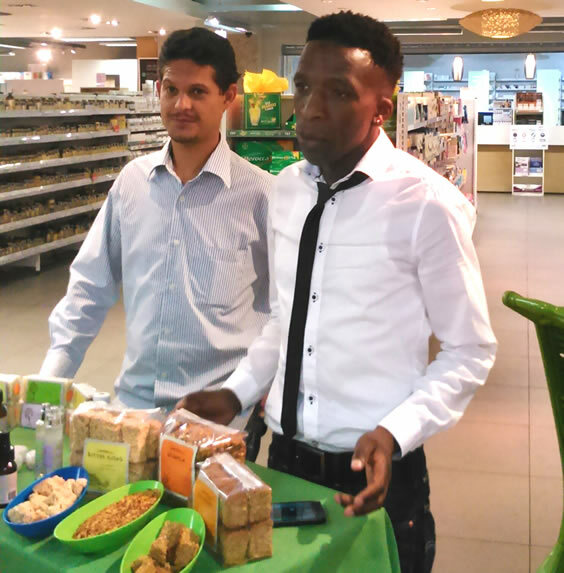 Camphill Bakery has developed a range of products to suit the busy lifestyle that most of us have become accustomed to. 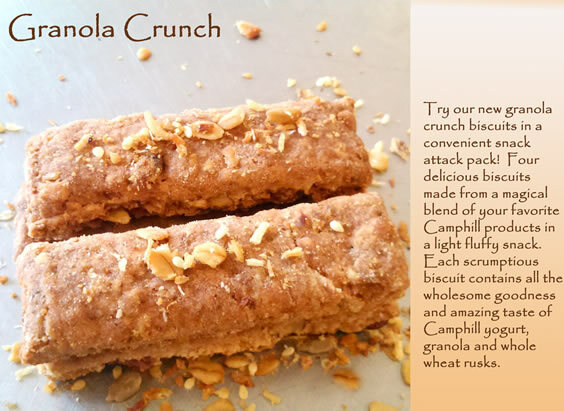 This new "On the Go" range, offers a variety of small packets of a combination of rusks, granola crunches and biscuits. They are packed in twos so are idea for an accompaniment to coffee, to have in your car, whilst hiking, cycling or for anywhere you would like a healthy snack. Look out for them! 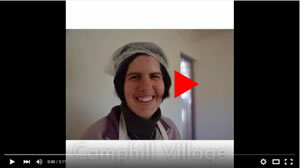 Ever wanted to know more about your favourite Camphill products? 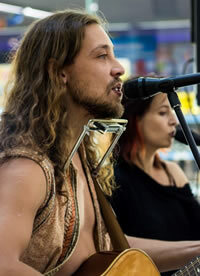 Our bakery and cosmetics department will be at Wellness Warehouse Kloof regularly, sharing their passion. We will notify you on Facebook of all the upcoming promotions. Come and sample our wonderful range and meet the people who bring them to life. What? Yes! 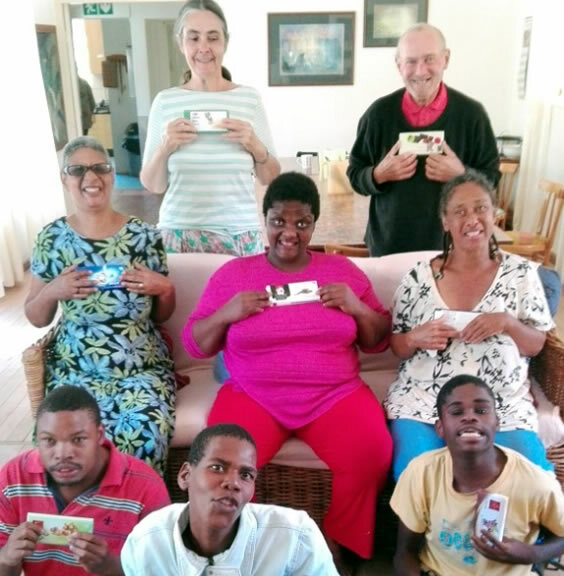 Thank you Birchmeier Family and Company: each person at Camphill was blessed with a slab of REAL Swiss chocolate for Christmas, which thanks to our speedy postal services are now being enjoyed in February. I am sure the love, joy and thankfulness was felt all the way to Switzerland. 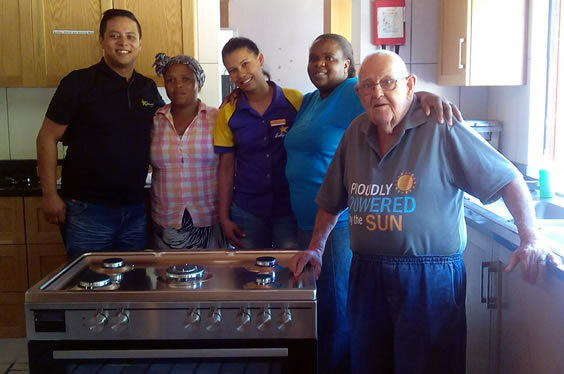 Carl and Roben representatives of Hollywood Sportsbet, we thank you for donating and personally delivering a much needed stove to Camphill. There was great joy felt from Housemother Locadia and the residents coming to help unwrap the big present. There are 19 people who enjoy their meals at Grover house, so thank you from each and every one. We appreciate this gift and don’t forget your invitation for lunch! Neville Beckerman for the paint, brushes, and sandpaper etc, Makro has delivered it at last! Gerrit de Vries for the state of the art industrial coffee machine. 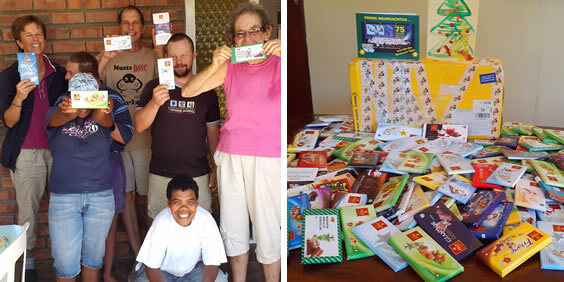 All the clothing, books and gifts in kind we receive, it is greatly appreciated. 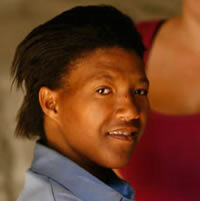 "It’s been more than five years now since I was a Young Co-Worker in Camphill Village West Coast. Many things have happened since then in my life but I often think back to the time in Camphill where I met so many lovely friends. Going back recently felt strange. Clearly, Camphill has gone through many changes. For instance, my house-leaders from then, Ryoko and Ntzikelelo, have moved away. However, there were so many familiar faces that made my visit feel like coming home. Thank you all so much for your warmth and the good vibes you’ve put out there. " It has been nearly three years since I was last in Camphill. I got really excited while entering the gates of the village. At first sight everything looked the same. Nothing really changed much, still it felt different. A lot of new people and a lot of small changes, which you don’t see at first but are visible on second sight. Sill I got welcomed from nearly everyone with open arms. To see everyone again and see how they are doing was really great. After just a few days it felt like being home again, like it always did, so it probably won’t be my last visit to Camphill. I was born in Phillipi. I was born before my brothers Hannes and Franz. I lived together with my Mom and my Dad. The first school I went to was Beacon and I had to go with the school bus every morning. Afterwards I went to Merry Harding Boarding school. Every Friday the bus took me home and I stayed till Monday morning. I finished school when I was almost 18. By that time my Mom and my brothers had died and my Dad had moved to Manenberg. When I was finished with school my principal told me that he knows a nice place and he and my Dad showed me Camphill. It was a big place. I came for one week orientation and afterwards I made my decision and I told my family that I want to go there. After I was in Camphill for a few years my Dad died as well. I still went to visit my Aunty for some time but now I have not heard from them for a few years. I like Camphill but I would love to go and see my family, not for long, just to go and ask them why they don’t phone me anymore.